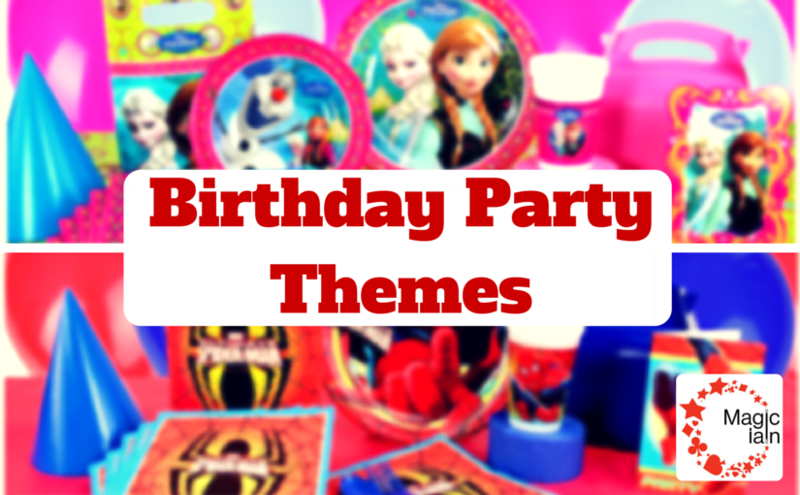 Theming your child’s birthday party to their favourite film, activity or story book character is a super idea. The look on a child’s face when they first realise the decorations are their ‘favourite’ is priceless. Whatever your child’s favourite, pick the two most prominent and complementary colours. For a Frozen themed party – pick turquoise and pink. Red and blue for Spiderman. Black and red for a pirate party. Now, buy everything that’s going to be disposed of after the party in these colours. The paper plates and cups. The latex balloons. The table cloths. The party bags. They’ll create a great backdrop for the branded stuff you’ll get. The party will have a great ‘look’. So what shall I buy with the characters on? The key here is to think about what your child will get to enjoy at home as a reminder of the party. Buy a few large helium-filled foil balloons with the characters on as they’ll serve as great focal points at the party and your child will enjoy them over the next week or two once you’ve taken them home. The same goes for banners, bunting and ceiling decorations – they can also be put up at home after the party. How about a large poster or a cardboard cutout? Yes, really. And the birthday cake. Themed birthday cakes go down a storm. When you put it all together you’ll be hailed as a design genius! That’s right. Having your child’s favourite on some items and having the backdrop of the complementary colours of everything else will look super-professional. Also, you’ll only throw away the plain coloured stuff and your child will make the most out of the bits you bought that were branded! Next Next post: Circle Game: Duck, Duck, Goose!